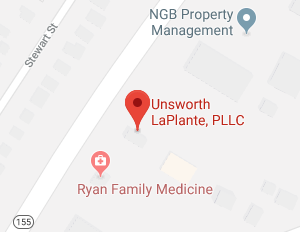 Unsworth LaPlante, PLLC represents clients throughout Montpelier who wish to take charge of their futures and create financial plans, asset protection plans, and estate plans. While our firm has experienced elder law attorneys, we know that clients of all ages can benefit from advice on setting financial goals, exploring tax advantaged accounts, getting advice on retirement, and planning for incapacity or death. Our firm is here to help with these issues, as well as to provide representation to clients going through the probate or trust administration process after death. 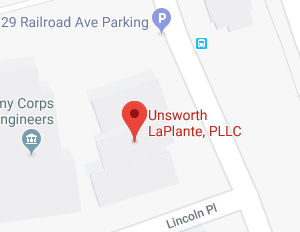 At Unsworth LaPlante, PLLC, we care deeply about providing high quality legal help to members of the Montpelier community. As the capital of Vermont with a population of almost 8,000 people, Montpelier is the least populated state capital within the United States. Within this community, giving back and being good neighbors is essential and our attorneys are committed to ensuring that our clients get the legal services they deserve. Montpelier is considered one of two “twin cities” forming a small metropolitan area within the center of Vermont. Barre is considered the other twin city. Montpelier is home to the Vermont Institute of Fine Arts and to the New England Culinary Institute. The city spans 10.3 square miles, and it is both the headquarters of multiple insurance companies as well as the location of the annual Green Mountain Film Festival. Many of the businesses in the downtown area are proudly locally owned. Our firm, too, is made up of local Vermont residents who know the court system and the laws that allow state residents to protect their assets and future with the creation of a comprehensive estate plan. In Montpelier, Vermont, almost 15 percent of the population is aged 65 or older. Just over 13 percent of households in this area are made up of seniors living alone. Seniors living independently may need home care help or nursing assistance as they age and develop health concerns. Many seniors in the Montpelier community also live in nursing care facilities. Our Parents.com lists two assisted living communities in Montpelier, as well as additional nursing homes and assisted living communities close to the area. Unfortunately, seniors in this area can expect to face high costs of nursing home care, especially as a 2010 report indicated that Vermont had some of the highest prices for assisted living and senior health services of any state within the United States. The Genworth 2015 Cost of Care Survey reported the median annual cost of a home health aid was $50,336 in Vermont. For a semi-private room in a Vermont nursing home, the median annual cost was $102,018. Many within the senior community in Montpelier face difficulty paying for the costs of care. A Medicaid plan prepared by an experienced attorney at Unsworth LaPlante, PLLC could make it possible for seniors to be able to get the care they need without spending their assets. Medicaid planning: Medicaid planning is a process aimed at making it possible to qualify for Medicaid nursing home care coverage without spending down assets. Since Medicaid is means-tested, seniors with a lot of money and property could find themselves having to spend their nest egg if they need nursing care. Only after they’ve spent their money and even sold property will Medicaid finally start to pick up the tab for nursing home care. The good news is, if you create a Medicaid plan in advance, you may be able to preserve your possession of money and property and get Medicaid to pay nursing home bills sooner. Incapacity planning: This is one of the most important parts of estate planning, and is what makes it so essential for everyone to create a plan. Anyone, no matter his age, could become unable to make decisions or to communicate decisions as a result of illness or injury. A living will, created in advance of incapacity, can specify what types of medical care should be provided and when emergency life-saving care should be declined. Naming a power of attorney for healthcare and a power of attorney to manage assets can also be beneficial. Asset protection: It is possible to develop strategic plans to protect assets and to make sure that heirs don’t lose their inheritance because of a divorce, bankruptcy, or other bad luck. These are just a few of many different things which could potentially be a part of an estate plan. Of course, you will also need to make provisions for what happens after death- which could include trying to avoid estate taxes and the probate process. Your plan needs to be custom tailored to you and your goals. Completing your estate plan and taking advantage of elder law services does not require going to court. Going to court does, however, often become necessary after a death. The affairs of the estate must be settled during the probate process. The probate process takes place in the local probate court in Washington County. The court is located at 65 State Street, Montpelier VT 05602. The phone number for the court is 802-828-2091. It is never too early to create a plan for your future. At Unsworth LaPlante, PLLC, our Montpelier elder law attorneys do not just represent the elderly – we provide representation to people of all ages and to people with estates of all sizes. When you want to make sure you have taken control over your assets, your medical decisions, and the legacy that you leave behind, we are here to help you. To learn more, give us a call today.